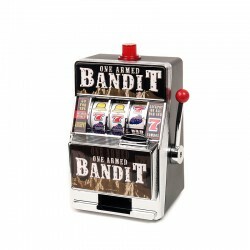 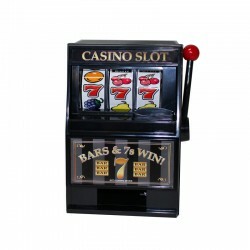 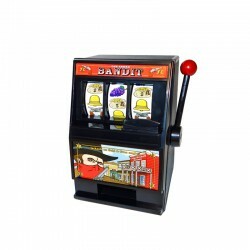 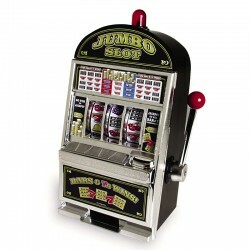 8” tall with working handle, manual coin return, ringing bell and flashing jackpot candle. 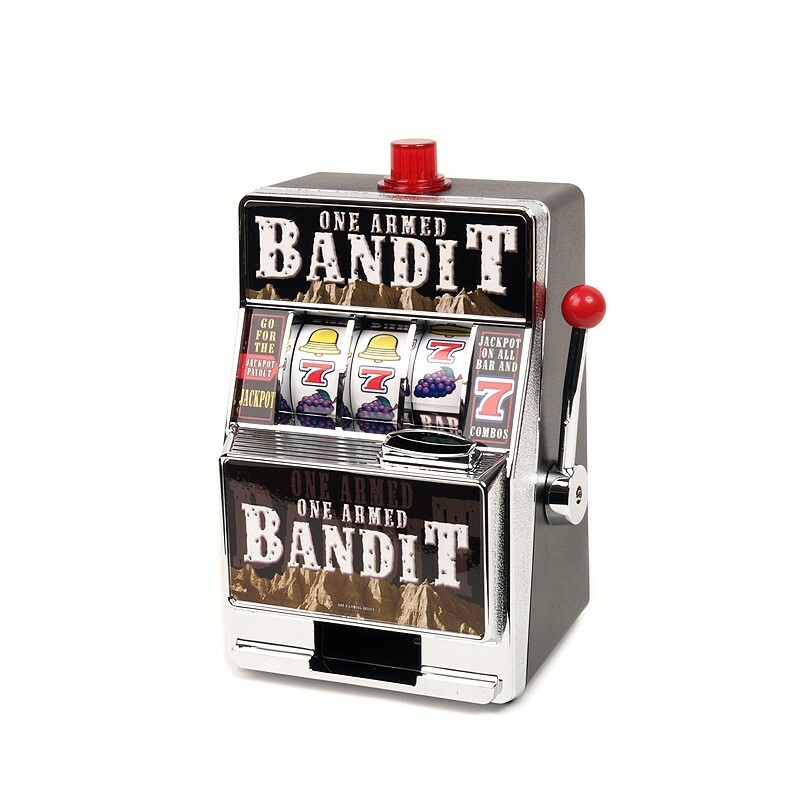 Jackpot payout. 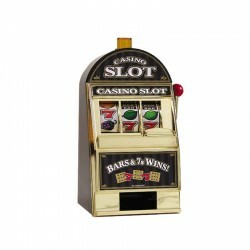 Requires 2 “AA” batteries to operate bell & candle (not included).